Mrs. Miner's Kindergarten Monkey Business: End of the Year Party and YOU"RE Invited! End of the Year Party and YOU"RE Invited! 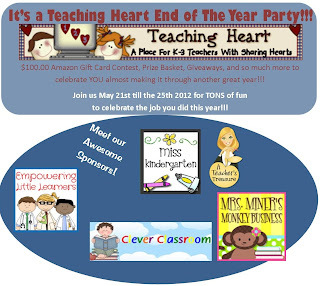 My blog friend Colleen from one of the very first web based teacher sites, Teaching Heart, invited me to join in for her end of the year celebration and guess what? You could win big for joining in, too! You could win a $100.00 Amazon Gift Card and many other products and prizes. Just found and started following your blog! 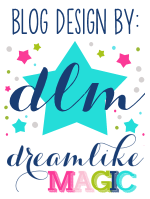 I am super excited to be returning to teaching kindergarten after 2 years of teaching 4th grade and I am super excited that I found your blog! YAY!! Thanks for sharing the news! Wow! This is great! Thank you for sharing about it. Yeah, so happy you are part of the party. Thank you for being so generous to your fellow teachers! Love your blog - glad I started following it. I can't wait to look around some more. When you have a moment stop by mine.